After the first International break of the season, the heat is back on in the Italian top flight. 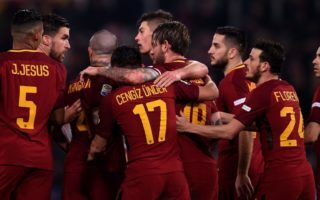 Week 4 of the Serie A and some good match-ups below in our Serie A Week 4 Predictions – Get in on the action now! With many Inter players returning from International duty and the Champions league 1 week away, this might be a tricky game for the home side. Parma proved to be a tough squad and this showed in their match at home against Juventus. At times they looked more dangerous than the Turin giants so Parma is worth watching. 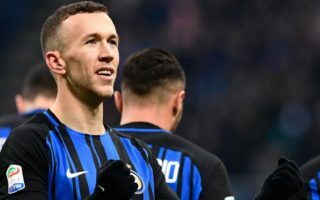 Inter will most likely not have Lautaro Martinez and Vrsjalko both out due to injuries. We also expect Spalletti to make some changes in the formation in preparation for their Champions league opener against Tottenham. Parma have a full rested squad available for this tie and they have been preparing for this for the last week and a half. Icardi seems to be fit again and will want to start this game to get off the mark in his scoring campaign. The last 5 head to head between these two at the San Siro have been high scoring and sometimes unbalanced games. The only thing that dilutes this stat is that these 5 matches date back to 2010 to 2015 and are not exactly a reflection of recent times. Napoli are back home after an embarrassing 3-0 loss away to Sampdoria two weeks ago. Dominated, outclassed and outdone by a motivated and energetic Sampdoria side that showed no fear and finished almost impeccably. They head back home to their safe haven, the place where they have won won 19 on 25 games and only two losses. Fiorentina will aim to continue their perfect start (2 games 2 wins) at the San Paolo. This stadium has not been kind to them over the years and they have rarely managed to express their full potential. A draw has been their best result in the last 5 encounters here and it was a 0-0. The other 4 were convincing Napoli wins. Napoli have to kind of get back their identity as they have not looked like their usual dominant selves. Ancelotti has a lot of work to do to get his men back into the confidence they showed in the last 3 seasons. Hamsik did not play against Sampdoria and this was a strange choice by the manager. Ghoulam will most likely be out with an injury and he is a key man in Carletto’s sytem. This should be an exciting one with many goals. Arguably two of the top 3 goals for contender of goal of the season lie with Sampdoria after just 3 games. Defrel and Quagliarella scored two amazing goals to stun Napoli 3-0 in Genova two weeks ago. Since then Sampdoria have been able to rest players and prepare for this important match. Frosinone have only been able to get one point as yet. It is looking bleak for them this season and we’ve said it before, they’re heading for Serie B. Every game for them seems tough and they simply do not have the quality for the Serie A. To add insult to injury (literally) they have injury problems ahead of this match with Dionisi, Gori, Paganini, Campbell and Campano all out of this fixture. Sampdoria will miss Saponara, who is most likely out. No European or International commitments for both these teams means that they have been concentrating on this encounter for two weeks. Only one previous encounter Stadio Benito Stirpe and that ended in a 2-0 win for Frosinone. Things have changed and this match will be different. Mixed feelings for Roma after a really mixed start to the Serie A this year. 1 Win, 1 Draw, 1 Loss and all with eventful games. A great goal, a big mistake and a good comeback but all three have been against tricky oponents. Roma showing their insecurities and have been punished each time. Chievo have been handed a 3 point deduction this week and they will appeal this during the course of the next few weeks. They are not a weak side but they are not going to scare the big teams either. For this game they will miss 3 important players in Hatemaj, Djordjevic and Rigoni and this will have an effect. Roma go into this game with bad results, returning players from international football and with an injury plagued squad. Florenzi and Schick are definitely out. Whilst Karsdorp, Mirante, Pastore and Perotti will be a last minute decision. What piles on the pressure for Roma is their mid-week fixture away to Real Madrid. Probably their toughest fixture this season. The last 5 head to head between these two at the Stadio Olimpico has not been good news for Chievo. 5 on 5 for Roma and loads of one sided games won by 2 or more goals. This one will most likely be the same with the replacement players proving themselves to be too much for Chievo to handle. Genoa got smashed against Sassuolo in an 8 goal drubbing ending in a 5-3 loss. Bologna also got smashed against Inter and they miss Palacio upfront. We seriously think Destro should get more minutes but Inzaghi doesn’t seem to think so. Genoa are the better side but they do not have a better record in this fixture. The last 5 have been low scoring, goals to zero 2 wins for Bologna, 2 draws and 1 win for Genea. Bologna have injury problems and Genoa are going to be the better side at home. International break and Champions league alert here. 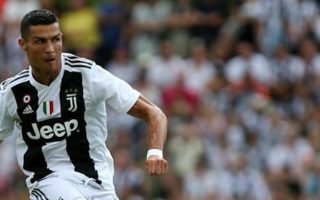 Juventus welcome back the Serie A after the break and will mostly have their attention on their opening Champions league game against Valencia on Wednesday. No major injury worries for both teams are reported at the time of writing. 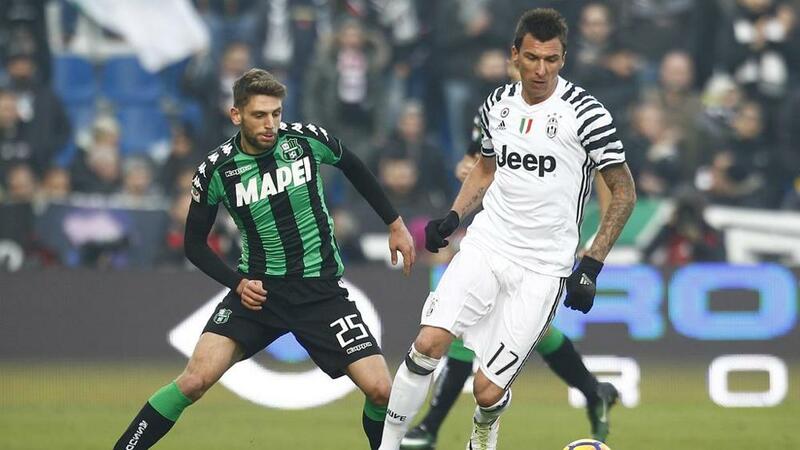 Sassuolo have looked young and energetic and have scored freely in their first 3 games. 8 goals in 3 games and winning 2 and drawing 1. It’s a better start that they could ever hope for. This game though will be extremely tough. If they ever thought they’d have a fighting chance it would be this one as it lands in a tricky calendar spot for Juve. There are no hopes for Sassuolo if we were to look at the last 5 head to head at the Allianz Stadium 5 wins for Juve and they were never in doubt. They win here last season was an embarrassment for Sassuolo with the game ending 7-0. 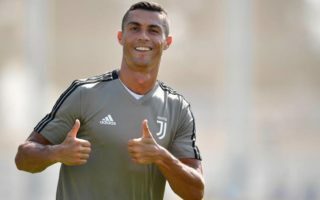 Cristiano Ronaldo did not participate in international duty and will most likely play this match as he is looking forward to getting a goal (his first) in the Serie A. Juventus are likely to rest other players that have just returned from the Country duty. All eyes on Cristiano Ronaldo for this one. Cristiano Ronaldo to score 2 or more. Both teams on equal records and similar performances. 1 win 1 draw 1 loss and all things being equal on the scoring front. Torino like this fixture and it has benefitted them in the past to have a great match here at the Dacia Arena. Both sides face some injury challenges. Most notably, Ingesson (Udinese) and Ansaldi (Torino) will not feature in this match. Aina for Torino is in doubt because of a thigh injury so look out for the formation before this game starts. The last 5 head to head between these two in Fruili have produced many goals. Emploli are off to their best start since 2006 and this will have them hyped up for this game. The international break will not have any effect on them and their players are well rested and ready for this game. There is no Europe games effect either for the week ahead. Lazio have not won two straight games since April. That says a lot about their consistency. Their performances of late are ok but super distracted on defence. They need to get their act in order quick if they want to keep up with the top pack. Ciro Immobile only has one goal in 3 outings and he will be gunning for more in this game so keep an eye out on him. The last 5 head to head games between these two at the Stadio Carlo Castellani have been mixed results for both teams. 1 D 3 straight Wins for Empoli and 1 for Lazio (the latest game in 2017). We think Lazio have the better team and are able to score goals. Key injuries for Lazio though might make them change formation with Berisha, Lukaku and Ramos Marchi all sidelined. What a great win for Milan against Roma! Just the confidence boost they needed in front of their home fans at the San Siro. Kaka had the crowd going before the game and it had an atmosphere of an old time Milan game. The players produced with Higuain showing his class. He had one bad pass all game but was sublime all throughout the match. Cutrone put the dagger in on 95 minutes and killing all hope of Roma fans. Again, it was Higuain that provided the assist with a touch of class. Cagliari had a really good away win to a tired Atalanta. Their opponents had a tough Europa league outing that went the full 120 minutes and penalties and Cagliari capitalised. The narrow 1-0 away win gets them to 4 points from a possible 9. At the Sardegna Arena, Cagliari manage good performances. So they will be a tough opponent for the rosso neri. Taking into consideration that Milan also play Europa league on Thursday, Cagliari must again take their chances. Milan will likely be without Conti, Strinic and Cutrone ahead of their European commitments whilst Cagliari miss Farago and Klavan. Last 5 head to head between these two had both teams scoring in all 5 with an average of 2.6 goals per game. Atalanta are coming off a tough week prior to this International break. A loss in Europa League on Thursday paired with a loss to Cagliari on the Monday night. The European dreams are over for the nero azzurri but the Bergamaschi would be looking forward to bouncing back and now concentrating on their next target which is a Europa league place next season. Gasperini was on record saying that he didn’t envisage them moving forward in Europa League and the time probably came a bit earlier than he expected but it coincides with the difficulty of a short tail squad and close fixtures starting early in summer. This helps in the Serie A as they are match fit earlier than other teams. SPAL come into this game with 6 points from 9 winning each game by 1 goal to 0. But 6 points is great. They are looking to add to this and they think they have good chances here at the Stadio Paolo Mazza. Only one previous match between these two in the top flight at this stadium and it was a boring 1-1 draw. This one will also be a draw and again it will be 1-1 or 2-2.